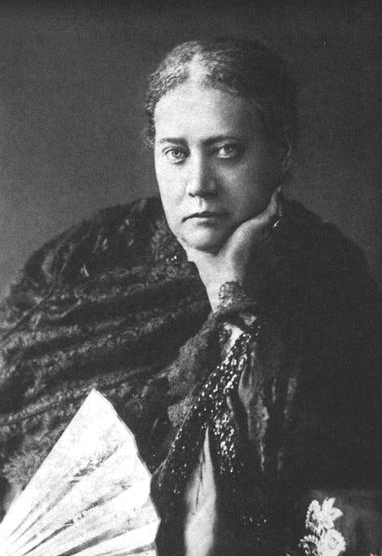 Did Blavatsky originally deny Reincarnation? No-one will argue or attempt to deny that it was through H. P. Blavatsky and the Theosophical Movement that the concept and teaching of reincarnation was introduced to the Western world in modern times. Yet sometimes it is said, both by Theosophists and others, that HPB initially denied the truth of reincarnation and that she wrote against it in her first book “Isis Unveiled” which was published in 1877. According to these individuals, she changed her views and beliefs about things as time went on and only later accepted and began to teach the doctrine of reincarnation. Such ill-informed individuals have obviously never made a close or careful study of her work and teachings, or they would see that her teachings were entirely consistent and unchanging throughout, from the moment she appeared on the public scene with the founding of the Theosophical Movement in 1875 and up until her departure from physical life in 1891. Experience shows that the majority of those who claim that “Blavatsky taught against reincarnation in “Isis Unveiled”,” have never even read the book and are merely content to repeat the ignorant assertions of others, some of whom have an ulterior motive to attempt to depreciate and belittle HPB and turn people’s minds away from the vitally important mass of teachings she has given out to the world. The misunderstanding in this regard is chiefly the result of inattentive reading and a failure to familiarise oneself with specific terminology. HPB herself wrote two articles defending herself against the charges of having denied reincarnation and demonstrating the contrary. These are “”Isis Unveiled” and the “Theosophist” on Reincarnation,” published in 1882, and “Theories about Reincarnation and Spirits,” published in 1886. If Theosophists would only go to what HPB herself has written, they would soon realise the groundlessness of such claims. She begins “Theories about Reincarnation and Spirits” by stating categorically that she is “a Buddhist by profession of faith” and “a professed follower of Buddhism years before Isis was written.” Those who may doubt or question this need only turn to HPB’s letter of 1876 to the American Platonist Dr Alexander Wilder, in which she writes, “I am a Thibetian [i.e. Tibetan] buddhist, you know, and pledged myself to keep certain things secret.” Those letters written by the Master K.H. and the Master M. themselves make it clear that They – HPB’s direct Gurus and Instructors – and indeed the whole Trans-Himalayan Brotherhood of which she is a part – are distinctly and openly Buddhist. Those who may be interested in knowing what particular type or expression of Buddhism the Masters adhere to can discover more in the article The REAL Esoteric Buddhism. It is true that the subject of reincarnation is barely mentioned at all in the earlier writings of HPB or, when touched upon, is dealt with in a brief and somewhat vague manner. Although present in the Theosophical teachings right from the start, reincarnation and Karma did not assume their later place of central importance and extensive emphasis until after the first seven year cycle of the Theosophical Movement had been successfully completed. The Masters are perfectly aware of when is the right time for a particular teaching to be publicly revealed to humanity at large. If a certain truth is given out too soon or too late, the consequences can potentially be disastrous. If reincarnation had been a clearly expressed and central teaching in Theosophy right from the start of the Movement in 1875, this all-important truth would either have been overlooked and ignored by the mass of humanity due to lack of understanding or interest or violently attacked and opposed. Either of these undesirable reactions would have greatly hindered the Great Brotherhood of Adepts in presenting reincarnation to the Western mind. Thus, the initial groundwork had to first be laid and some of “the rubbish of the ages” (to use HPB’s phrase at the end of “The Secret Doctrine”) had to be cleared away from the Western mind and consciousness before reincarnation could be successfully and clearly presented in all its glorious truth and majesty. As can be seen if we read carefully and pay attention, she is not denying reincarnation here but rather is denying the reincarnation of the “astral monad,” the latter being an exception rather than a rule. “It is important to always remember that there is a distinction between the present personality and the permanent individuality. The earthly personality or persona – John Smith or Mary Williams, for example – will never be reincarnated. “But the soul (the spiritual individuality) that lived a life on earth in and through the persona of John Smith or Mary Williams WILL reincarnate, in and through another new personality. So we should not make the mistake of thinking that our soul is identical with our earthly persona. It is not. “Some aspects and qualities of our soul – aspects and qualities which it has acquired in previous lifetimes, when incarnated in previous personalities – are certainly active and prevalent in our life on Earth today but the present personality should not be taken as being a full or even particularly accurate reflection of the permanent individuality. That temporary persona of John Smith or Mary Williams amounted to only a chapter, or even only a page, in the whole “book of lives” of that soul. Those who may be surprised or puzzled to see the lengthy time periods mentioned at the end of this quoted passage are encouraged to read the article How Soon do we Reincarnate? So, then, “Isis Unveiled” denies the reincarnation of the present personality – the so-called “astral monad,” a term which was later dropped from Theosophical vocabulary – but does not deny the reincarnation of the permanent individuality. The personality only ever reappears in those rare instances when the Karmic intent behind it has been temporarily thwarted, i.e. primarily in cases of abortion, children dying before the age of seven, and certain forms of insanity. The Spiritists of that era – who should not be confused with the Spiritualists, despite many similarities – were teaching a very unphilosophical view of reincarnation, in which they denied anything resembling Karma, identified the soul as being the same in essence and character as the personality, and maintained that reincarnation occurred more or less instantly after the death of the body. Theosophy naturally challenges these conceptions. In Mr Judge’s response, which may be found in the book “Forum Answers” (p. 79-80) he writes, “The doctrine of reincarnation was not disavowed in her early writings. . . . the quotation from Isis at the end of the question is incorrect. Reincarnation is not denied; but reincarnation of the astral monad is denied as the rule. The words omitted from the quotation are the hinge on which this question and reply must turn. Inquirers and members should be careful in making references, as well as in getting the real import of what is read. “Turn to The Theosophist, pp. 288-9 of August 1882, and you will find the question answered and the remark in Isis explained. Turn to Path, Vol. 1, p. 232, November 1886, and you will find the article Theories about Reincarnation and Spirits dealing with the same matter and by H.P.B. She wrote that article at my request because of a similar question arising from a like misunderstanding. Furthermore I assert as a witness that from 1875 to 1879 H.P.B. taught and explained Reincarnation, and in my case in respect to a relative of mine who died during that period. But when Isis was written, the full scheme of man’s real constitution had not yet been given out, though hinted at broadly. Attention was then paid to the Kardec school of Reincarnationists, with the object of overthrowing their theory, and H.P.B. then, as later, denied personal reincarnation. The reembodiment of the personal astral – called “astral monad” in Isis – never was taught and is not taught by the school from which The Secret Doctrine emanates. Hence her denial of it as the rule in 1877 still holds good and is reasserted in the articles I have pointed out. There is therefore no inconsistency . . . There he is referring to the fact that a few years after HPB’s passing, Olcott published the remarkable claim that she had not known anything about reincarnation until she moved to India in 1879 and had even stated that her Master had possibly not known the theory of reincarnation until that time either! Olcott had worked with HPB in the task of preparing “Isis Unveiled” for publication but it turned out that he did not even know the text. He would go on to write far worse things than this, however, so much so that Mr Judge eventually felt compelled in 1895 to publish an article titled “H. S. Olcott versus H.P.B.” Those who may wish to learn more can read the article Col. Olcott’s Disloyalty to H. P. Blavatsky. SOME RELATED ARTICLES: A Right Understanding of Reincarnation, Questions about Karma, A Right Understanding of Karma, The Sevenfold Nature of Man, 12 Things Theosophy Teaches, Being Sensible about Past Lives, The Skandhas, How Soon do we Reincarnate?, Death and the Afterlife, The Process of Reincarnation, Reincarnation and Christianity, There is No Injustice, Is Karma Merciful and Compassionate?, Theosophy: The Ancient Wisdom, How to successfully study the Teachings of H.P. Blavatsky, Who are you, Madame Blavatsky?, The Masters and Madame Blavatsky, Who was William Quan Judge?, The Welcome Influence of William Q. Judge, Miracle or Magic? 10 Main Points from Isis Unveiled, and The Extraordinary Story behind Isis Unveiled. It would seem so odd, that inconsistencies should have come of this, even from Colonel Olcott in an 1893 article of the Theosophist. There he states, that he and H.P.B. in the time of Isis Unveiled, was “infinitely far from believing in re-incarnation.” Why would he say that? In his Diary Leaves, it is as if, he is unsure of actual facts, in which he was supposed to be involved. Is Olcott a reliable source? Unfortunately he is not much of a reliable source at all, at least not in his writings from the late 1880s onwards and definitely not in his writings from after HPB had passed away. Have you read “Col. Olcott’s Disloyalty to H.P. Blavatsky” at https://blavatskytheosophy.com/col-olcotts-disloyalty-to-h-p-blavatsky/?